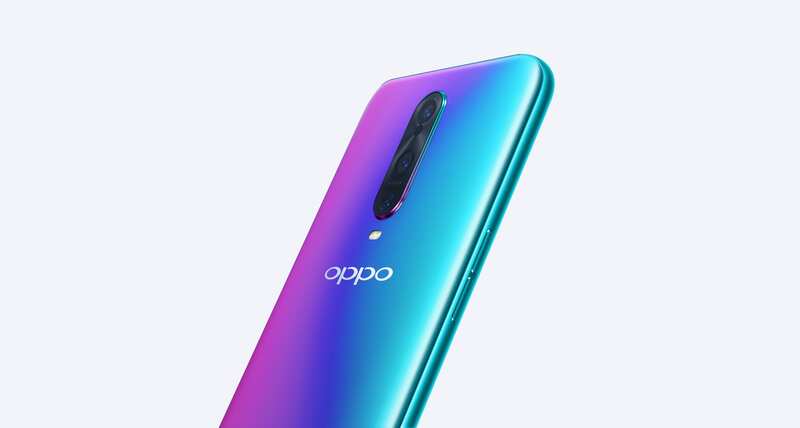 You are at:Home»Android»Oppo RX17 Pro: Better Than The OnePlus 6T? Oppo RX17 Pro: Better Than The OnePlus 6T? Oppo offers a slicker and fast alternative to the OnePlus 6T, but what did we make of it? Available in two colours: Radiant Mist and Emerald Green, the Oppo RX17 Pro is a phone that will start conversations and attract glances of admiration from intrigued onlookers. Using an on-trend technique for heat treating perforated 3D glass to create an iridescent finish that’s frosted and silky smooth to the touch, the RX17 Pro shifts colour ever so slightly, dependent on the viewing angle. It’s a striking and modern look that suggests the phone costs a little more than it actually does. It’s also near enough the exact same effect that OnePlus achieved with the OnePlus 6 and 6T, blowing their design USP out of the water. Its dimensions are almost identical to the OnePlus 6T, measuring 157.6 x 74.6 x 7.9mm and weighs 183g – but the RX17 Pro is a tough thinner and lighter. The rear of the phone sees a centrally aligned triple camera setup with a small flash below it. There’s no fingerprint scanner to be seen as it is in fact housed beneath the phone’s screen – taking another bite out of OnePlus’ aesthetic/feature USP. The RX17 Pro has an aluminium chassis cloaked in durable Corning Gorilla Glass 6 and opts for an unobtrusive dewdrop notch on the front for that all-screen look. Giving the RX17 Pro a dew drop design strikes a nice balance between maintaining the selfie camera and face unlocking functionality – which works brilliantly btw. Its AMOLED screen sports an aspect ratio of 2340 x 1080 and content viewed on it shine with deep contrast and a pleasing amount of detail. Although you may want to make adjustments to the device’s colour science as it may be too oversaturated for some by default. Oppo’s own ColorOS 5.2 offers a clean, minimalistic interface that is easy to get used to and doesn’t clutter the phone with much bloat, which is a plus. It also allows you to use clone apps for managing two WhatsApp or Facebook accounts for example. There’s only one onboard storage option and no microSD expansion, but 128GB is a good amount for most people. 6GB RAM is a welcome inclusion though and it’s more than fast enough for the majority of gaming and entertainment needs. At a glance the RX17 Pro looks almost too good to be true, and a genuine OnePlus 6T killer, but look a little closer and you can see where the corners have been cut to keep the phone so competitively priced. The most disappointing revelation is that the RX17 Pro only has the Snapdragon 710 processor and an Adreno 616 GPU – not “Pro”. The Snapdragon 710 chipset is one you’d expect to find in a phone that costs half the price of the RX17 Pro. At or around the £600 mark you’d expect a more recent – if not the latest – processor sitting at the heart of a device. In use, its RAM options do a good job of making up for the shortfall in processing might. Only the most graphically intensive games will expose the RX17 Pro’s shortcomings. If you’re not a big gamer, it’s a fair tradeoff. The triple sensor setup on the Oppo RX17 Pro is made up from a 12MP camera with a variable aperture f1.5-2.4 lens + optical image stabilisation, a 20MP camera with an f2.6 lens and the third is used to help the phone detect distance to assist AI and AR capabilities. On the front, it has a 25 MP selfie camera and does a pleasing job for the narcissists among us. Overall, the RX17 Pro’s camera performance is decent. It’s not contending with the best from Samsung, iPhone or Huawei, but as far as the rest go, it’s up there and it’s more than good enough for the average user. This is a phone that has the looks, delivers a premium feel and offers a slick, stripped down Android experience. Things to love? It’s beautiful, takes decent photos and videos, it also delivers solid battery performance. And thanks to Oppo’s SuperVOOC charging standard, it can charge from 0-80% in 30 minutes. If you’re ever out and about and find yourself in need of some juice, a quick stop in a coffee shop or pub will get you back to a full charge. It’s let down by lack of an up-to-date processor, but makes up for it with decent 6GB RAM. A great phone for people who want something a little different, not one for those who prioritise mobile gaming.